Lone Star Automotive in Midland, TX provides complete auto service and maintenance for all makes and models including diesel and hybrid vehicles. Since 2008, Lone Star has been growing into one of the largest independently owned auto shops in the country. Our Midland team of auto service specialists will work hard to get you back on the road quickly and safely. We’re proud of our growth and the expertise we have to offer the community. 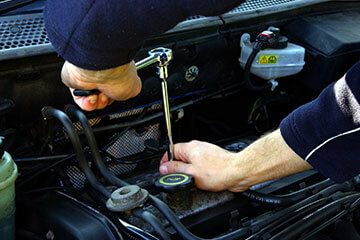 Technicians are always available to answer questions and provide superior service and repairs. Our shop is equipped with state-of-the-art diagnostic equipment and tools to quickly diagnose and fix problems quickly and efficiently. Call (432) 699-5700 or stop by 900 N Loop 250 W for service. At Lone Star Automotive we don’t’ just provide general auto services such as oil changes, brake repair, and wheel alignments we offer complete car care and maintenance. Although, we are most well-known for our Powerstroke/Duramax and diesel engine repair work and fleet services. We have worked hard to become Midland’s complete auto service center and dealership alternative. Not only do we offer competitive pricing but also outstanding customer service that is beyond compare. Whether you’ve got a heavy-duty truck, a luxury sports car or anything in between, stop by to get the best auto service Midland has to offer! Lone Star Automotive of Midland, TX will enhance your vehicle’s performance through complete auto service and maintenance that not only will safeguard performance but also your investment as well. We will help you avoid costly repairs and unexpected breakdowns by performing professional repairs with the best parts and the most knowledgeable service. We provide the type of preventative maintenance will keep you out of our service bays. Drivers can bring us any vehicle repair because our team handles it all. Our knowledge and success in the automotive industry qualify us to be your go-to shop for any repair needs. When you choose Lone Star Automotive, you choose worry-free auto services. We stand confidently behind all of our repairs with an industry-leading 36-month / 36,000-mile warranty. We also offer our customers nationwide roadside assistance. Call or schedule service online today.